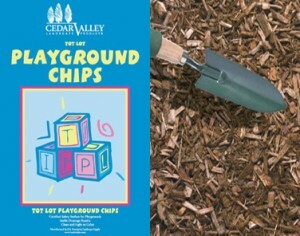 JK Enterprise Landscape Supply, LLC > Blog > Tot Lot Chips – Is Your Neighborhood Playground Safe? Tot Lot Chips – Is Your Neighborhood Playground Safe? Tot Lot Chips are not just a “nice to have” element in your neighborhood playground. This ground cover represents something much more important… your kid’s safety! When residents with children choose a place to live, they consider playgrounds a valuable amenity for themselves and their families. Ensuring that your playground is safe sends an important message that you are a truly family-friendly community where safety comes first. All playgrounds present some challenge, because children can be expected to use their equipment in unintended and unanticipated ways. What you should be thinking of is active, unsupervised kids coming to play from your residents apartments or local neighborhood homes, this raises your potential liability for a child’s injury to levels that can threaten the value of the asset. You can meet this challenge by complying with playground safety standards and through regular maintenance. Ensuring the adequate level of playground safety is in your hands. While evaluating a playground for safety, start by looking at the playground surface. According to the Public Safety Handbook, “because falls are a very common playground hazard pattern, the installation and maintenance of protective surfacing under and around all equipment is crucial to protect children from sever head injuries.” Playgrounds should be equipped with shock-absorbing materials to cushion falls and minimize injuries when children fall off a piece of playground equipment. Fortunately, there are materials that can provide adequate protection. Most common is Engineered Wood Fiber (EWF). EWF has been tested to be safe at particular thicknesses and comes with safety testing data. Having safe and fun places for children to play benefits communities. With our Express Blower Service, JK Enterprise Landscape Supply can efficiently deliver and spread large quantities of organic material up to 10 times more efficiently than a typical five-man crew. Materials can be applied in any weather, and there is no damage to the landscape compared to the high traffic of workers and wheelbarrows. JK Enterprise Landscape Supply can efficiently deliver the products and provide the services you need to complete your next project. JK Enterprise’s Tot Lot chips are manufactured to meet or exceed IPEMA and the National Engineered Wood Fiber (EWF) safety standards. Call for Delivery or Installation pricing on Jumberjake Tot Lot Chips.